“There is more to the appeal of Gyokusendo than just its history and techniques. Its true charm lies in our customers’ use of our copperware for generations; in essence, its ‘timelessness’. Though many machine-made industrial products are at their most beautiful when the customer receives them, this beauty soon fades. However, the timeless beauty of Gyokusendo’s copperware, beaten repeatedly by its craftsmen, begins to increase the instant the customer lays their hands on it, deepening its colors and enhancing its luster and character. It is this enduring beauty that is passed down from one generation to the next. “Strike. 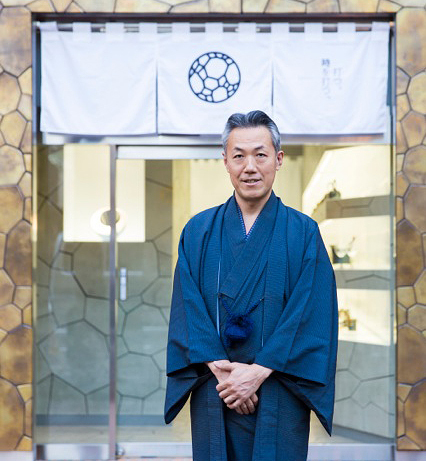 Make your mark on Time.” It is with these words that I proclaim the allure of Gyokusendo’s copperware. Our copperware are eternally evolving products that last far longer than a lifetime. It is our sincerest hope that, upon taking our Gyokusendo copperware into your hands for the first time, and when you use it every day thereafter, you are able to envision its shining form one hundred years into the future. Our corporate logo is designed with Japanese flag and Family emblem in the motif of a Large hammered mark which is Gyokusendo’s representative design. 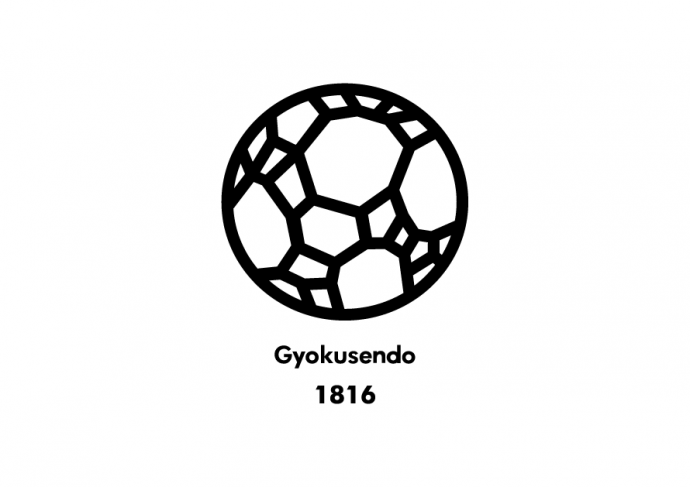 The previous logo written by Kanji has been emphasized the image of Japanese traditional manufacture but the new logo which is built on the concept of “Strike. Make your mark on Time” is used for a distinguishable design across national and linguistic borders.